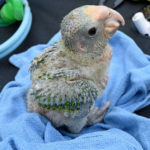 The international trade of parrots is a lucrative business, and forms an important part of the international wildlife trade. 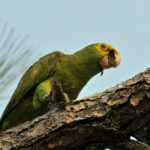 With parrots rapidly becoming endangered, restrictions, and bans, on the trade have been put in place by many countries. 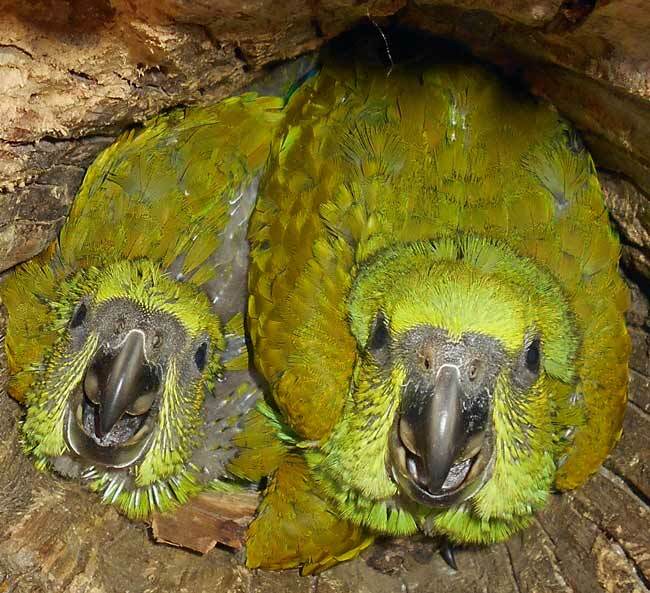 However, despite the restriction on the trade of parrots in many countries, the parrot market still operates both legally and illegally. 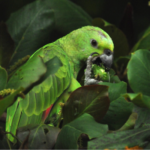 Saint Vincent Group proudly supports One Earth Conservation, a not-for-profit organisation which develops empowering programmes designed to build knowledge, motivation, resilience, and capacity in people, organisations, and communities, where parrots are native, in central and south America, and internationally so that they can better cherish and nurture themselves, nature, and other beings. 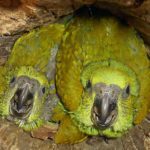 One Earth Conservation’s partnership with Foster Parrots, Ltd., has launched a new Freedom Project to address the following mission: Expanding awareness of the plight of parrots and people. 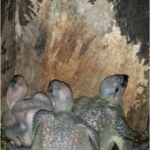 Their vision is to see parrots flying free and flourishing in natural habitats while people with whom they share the community prosper as the international community pledges to support them in solidarity and commitment. Raise awareness and change public perception of the issues of parrot extraction and captivity. Build a global consensus that it is not okay to take parrots from the wild or to have them in captivity. Educate the global community about intersectionality, which is the fundamental connection between human, animal, and environmental well-being and oppressions, and the need for planetary health. Create an international movement to diminish the suffering of birds in captivity, in the trade, and those that are free flying by decreasing poaching, the wildlife trade, and number of birds in captivity. Inspire an international movement that stands in solidarity with communities that live with native parrots. 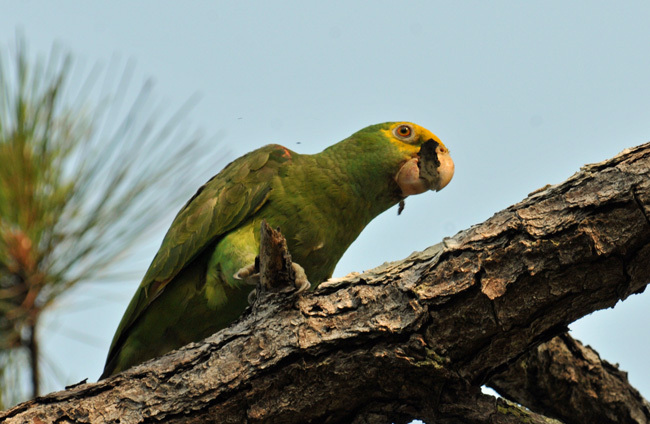 Honduras – Cuyamel: In the northern Honduran community of Cuyamel, One Earth Conservation and Cuerpo de Conservación are focusing on the yellow-headed parrot. In 2017, we hired community leaders to identify, monitor and protect eight nests, none of which were poached! With Cuerpo de Conservación, we supported an education program, capacity training with local authorities, and a soccer championship. We established community patrols in the communities of Playa Santa Domingo and Merida. One Earth Conservation purchased climbing equipment for the use of the community patrols and trained climbers on how to use it effectively and safely. We identified, monitored and protected 14 nests in two locations, of which only one was poached. One Earth Conservation led a Nurture Nature trip/fundraiser to Ometepe Island that included three of our Board members and five other citizens from the USA. We called this trip the Nicaragua Journey to Ometepe Island. Connections were made, people were nurtured, conservationists received assistance, visitors had a wonderful experience and funds were raised to support the project. During the Nicaragua Journey, local people and visitors alike were privileged to meet little Time Bomb, a yellow-naped amazon who changed all of our lives. 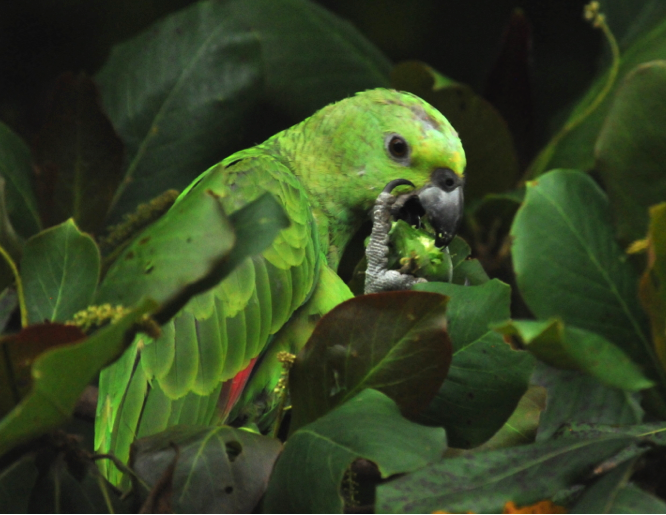 Most importantly, the appearance of Time Bomb prompted the early creation of a parrot rescue and liberation center on Ometepe. You can read more about Time Bomb on the following page. 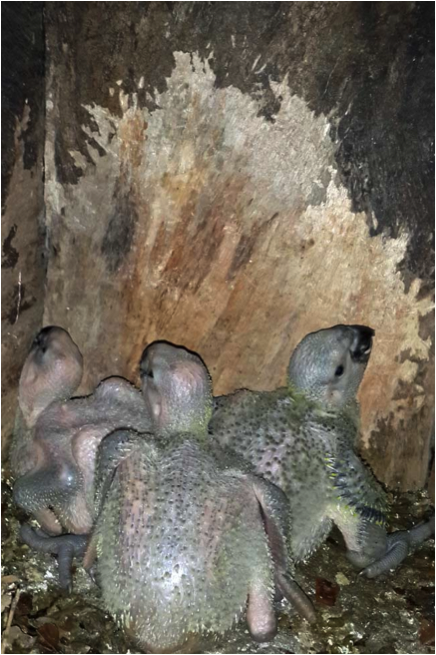 Guatemala: LoraKim has re-started a yellow head amazon project in Guatemala. More exciting details will be shared here at a later stage.